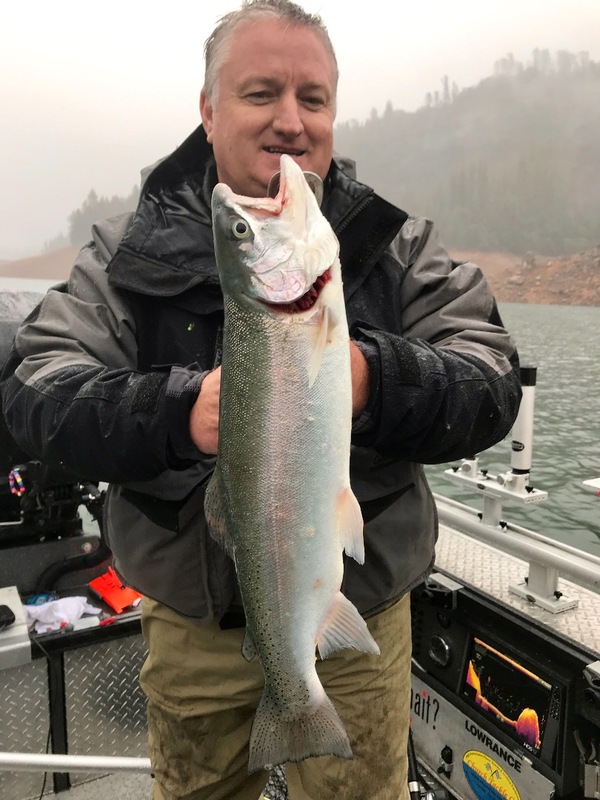 Wet and windy on Shasta Lake! We're still picking up some nice browns and they appear to be recovering nicely after the fall spawn! 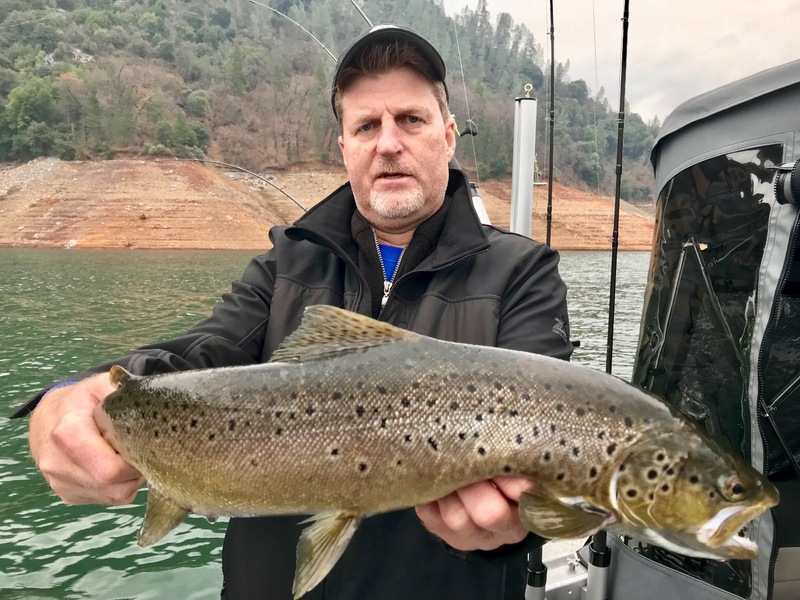 I fished the past two days with Howard and Matt on Shasta Lake. We caught some great browns and rainbows the past two days, and overall we had a great trip! Conditions were much worse today as far as the rain goes, but the bite was twice as good as yesterday. Both Howard and Matt caught their browns, and they both caught some really nice rainbows for this time of the year. The McCloud River is pushing 42 degree water into the McCloud arm and Hirz Bay water is right around 54 degrees. 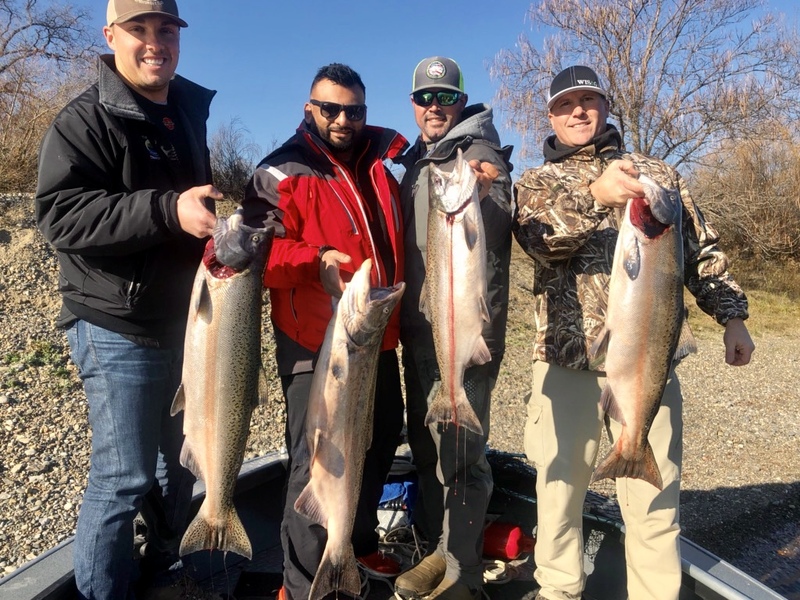 We caught the browns right on top trolling Optimizers, and several rainbows down to 20' trolling Bay Rat long shallow stick baits off the downriggers. 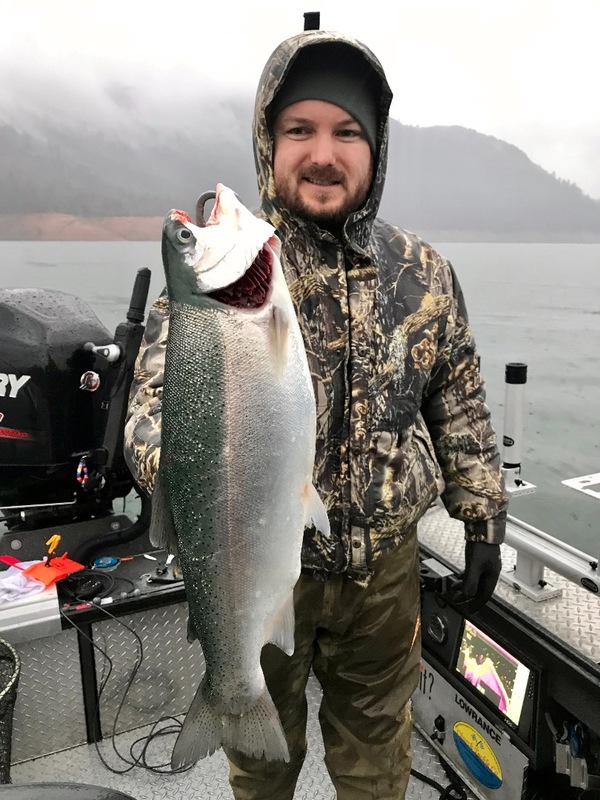 We should see a little color in the lake this week with the rains and that usually keeps a good trout bite going strong. 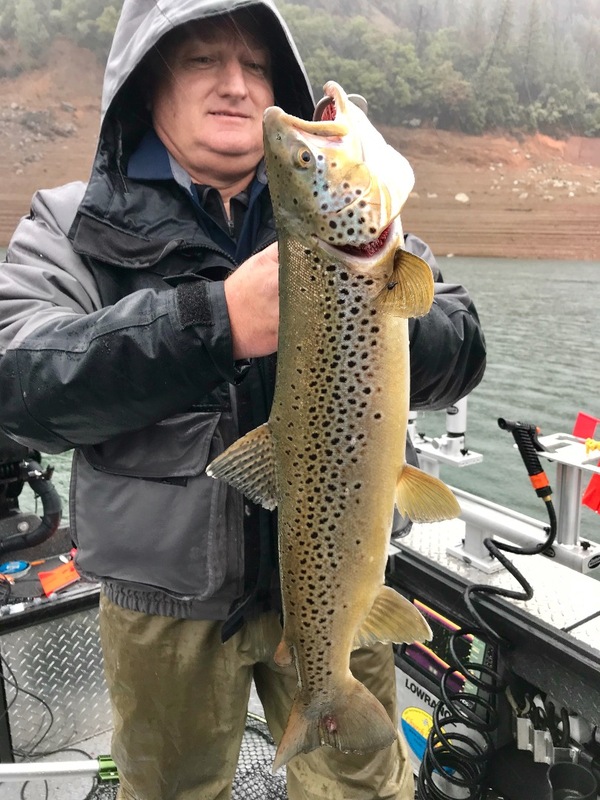 Shasta Lake browns taking center stage!